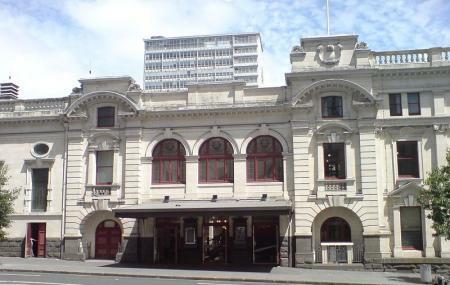 Built during the early 20th century, the Auckland Town Hall was established as an administrative building. Today, along with its original function, the place is quiet popular for its Chamber Concert. The building adds to the heritage of the city and is quiet a sight after dark when the hall is illuminated. The baroque design built by using Oamaru limestone, kauri floors, dreamy chandeliers, metal ceiling works, castiron balustrades and stained-glass windows- all make the place enchanting. Do catch a live music concert here to truly experience the place. For ticket prices of trending shows, visit the official website. Auckland Town Hall is open for performances only but you cantake a walkaround any time of the day. Auckland Town Hall Box Office opens 90 minutes prior to performances at Auckland Town Hall. For timings of trending shows, visit the official website. How popular is Auckland Town Hall? People normally club together Auckland Botanic Gardens and Auckland Museum while planning their visit to Auckland Town Hall. People also prefer to start their day with Auckland Town Hall. Amazing venue for public concerts of all types. Great acoustics. Lovely building. Great place to hang out and chill in the city. A Beautiful Building near Aotea Square Queen St Auckland City. Venues are held here. Citizenships, Graduations, and many more. My role as a City Photographer, I value every single angles and structures of the building. I have shot some styles of Auckland Town Hall and I would like to create these photos that I will attach here as license-free for all rights worldwide.